Well… I have finally finished the book after several failed attempts over the past few months to get past Chapter Two. I am not sure what it was or why there was such a horrible disconnect for me to forge past these word and on to the next chapter and then the next. There was initially no connection that I felt for the main characters, Tristan Cross and Allie Green, or was there any motivation to want to know more about them. However, I continued to try and try again until I somehow made it past the first two chapters to the third chapter. It was at this point of the story that a switch came on and I could not put the book down. I finally began to understand Allie Green and her motivations in life as a young police officer. By chapter four, I began to see some real chemistry between Tristan and Allie and see that he was good at what he does, which is all things security as he and his family run a multi-fafillion dollar operation to include, PI, personal security, undercover operations, and even hold some top governmental contracts. 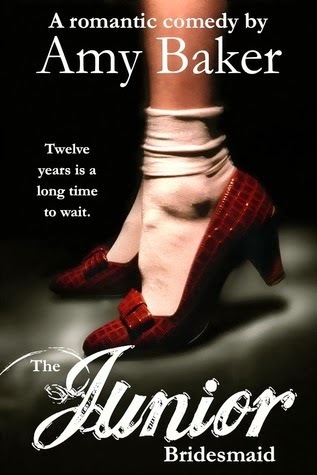 This book was quite cute and I found myself laughing out loud on more than one occasion as I met Delilah Welling at sixteen years old preparing for the wedding of her mother’s best friend daughter Darcy Strong. Not only does Delilah not like Darcy or even care to be in the wedding, she has the biggest crush on the groom Hugh Rowen. Darcy does not care for Delilah and uses any opportunity to remind her. So, after, a disastrous “trip” down the aisle on Darcy and Hugh’s wedding day that never happened, Delilah has only one mission in life… to forget about the day that her “lamb chops” got further down the aisle than she did as the junior bridesmaid. The second book in this series was for real a bit much. I mean… I guess you can drink yourself into a coma. I mean… I did have a boyfriend once that would speak in a different language when he was drunk. I guess that wouldn’t be so bad if he actually spoke another language. I digress, (so soon in this review) in Beneath this Man Jesse has drunken himself into a stupor. There is no mystery foreign language here… ole dude has slipped into an alcohol induced coma. So, yep, and stuff…. I was not really feeling Jesse, Ava, or any of his homies at that point. I just wanted to scream at Jesse and say, “just because the girl you want doesn’t want you back doesn’t mean you drink yourself stupid. Maybe write a sad entry in your journal and but not drink yourself silly”. I was quite reluctant to read this book after reading reviews which were not all bad and were not all great. Most were somewhere in the middle. I read a sample of this book and then my attentions went elsewhere. However, the kink-foolery fairies must have been in favor of this read, because I found myself requesting an ARC of This Man Confessed from Netgalley. Why would I request a third book of a trilogy and have not read the first or second book. I don’t know!!! So without any further delay I purchased This Man by Jodi Ellen Malpas and this is what I thought. There was something about that Jesse Ward that was both crazy and charming at the same time. He had personality for days and smashed right into Ava O’shea like a wrecking ball. Those two together was like mixing light and dark colors together in a washing machine and not knowing what you would get after the spin cycle. Ava was an interior designer for a firm in London, who was requested to decorate a new extension of a property belonging to Jesse Ward. Ava had no idea what she has stepped into but the instantaneous attraction she has towards the handsome, arrogant, and evasive Jesse is the one thing that she know is for certain. I am sure that she did not imagine how her arrival at the Manor would forever change the course of her life. I received an ARC of this novel from Forever Publicity on behalf of Grand Central Publishing via Netgalley. 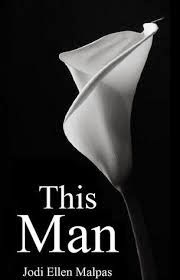 This was the last book in the This Man series by Jodi Ellen Malpas and was actually the BEST book of the series...at least in my opinion. There was a wedding, the mystery of the missing birth control pills solved, and Ava finally learns something more about Jesse Ward other than how loud he can make her scream. This book answered all the questions and put some... remember I said some... of Jesse's craziness and shenanigans in context. I even began to understand Ava's seemingly unsupportive best friend Kate a little better. Ava's brother was not all he was cracked up to be, in fact, he turned out to be quite sketchy. After completing book 4 of the Blackstone Affair Series by Raine Miller, I needed a few days to process everything. 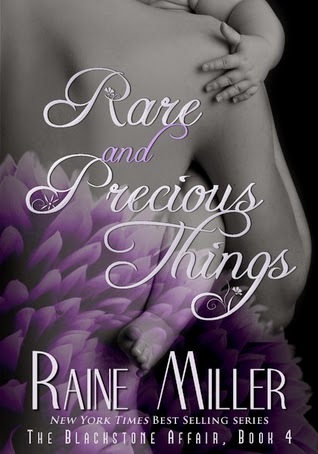 Rare and Precious Things answered a lot of questions that had been lingering since the beginning of the series. This installment also brought Ethan & Brynne face to face with some truths that allowed them to begin to completely heal from their torturous pasts. The novel began with the Ethan & Brynne's weekend wedding celebration and the surprise of Ethan purchasing Stonewell Court for Brynne as a wedding gift. Ethan is trying to manage his nightmares and fears that he will cause harm to Brynne either unconsciously in his sleep or during one of his f*ck the pain away sessions. He worries about this incessantly. Brynne on the other hand is adjusting to being Ethan's wife and her ever changing body that comes with pregnancy. Brynne, is having to now deal with some of Ethan's past sexual exploits as she becomes increasingly insecure and questions him about nearly every woman they encounter. But all that was bound to happen.